Monjardin is the certified organic brand from El Navarrico, the producer of the D.O. Piquillo pimentos. 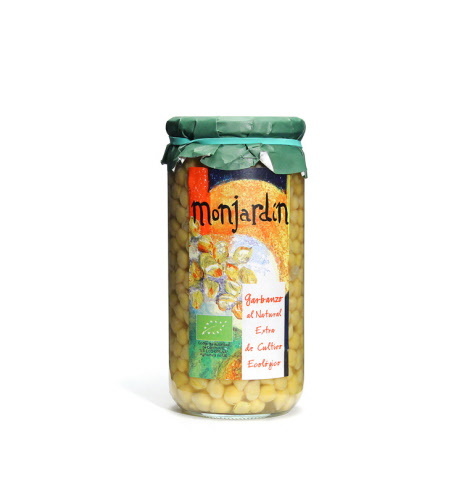 These hand-selected organic chickpeas from CataluÃ±a are simply preserved with water and sea salt. Use them in salads, soups or hearty dishes such as braised beef cheeks.